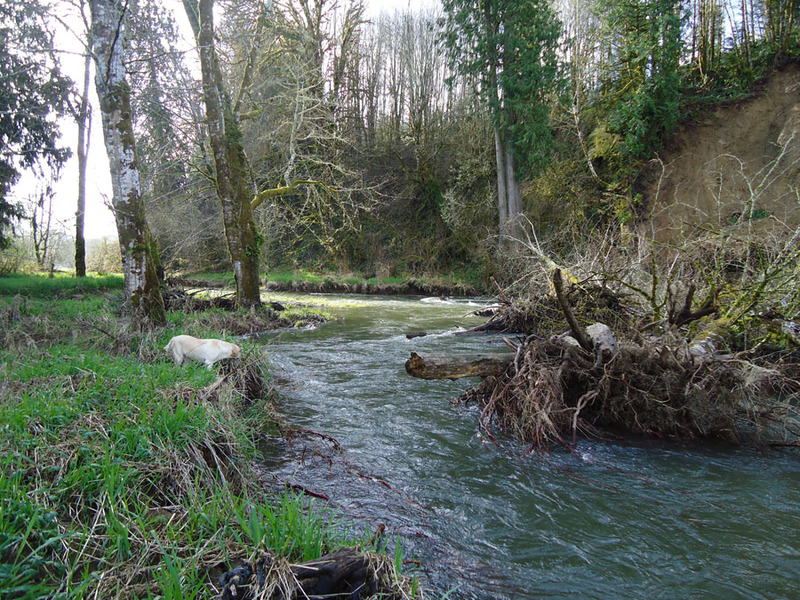 To address these impacts, Waterways Consulting was hired to assist the Lower Columbia Watershed Council and the Columbia SWCD to evaluate restoration opportunities and constraints, prepare a set of restoration alternatives, estimate construction costs of the proposed alternatives, and prepare a preliminary engineering design for the selected alternative. 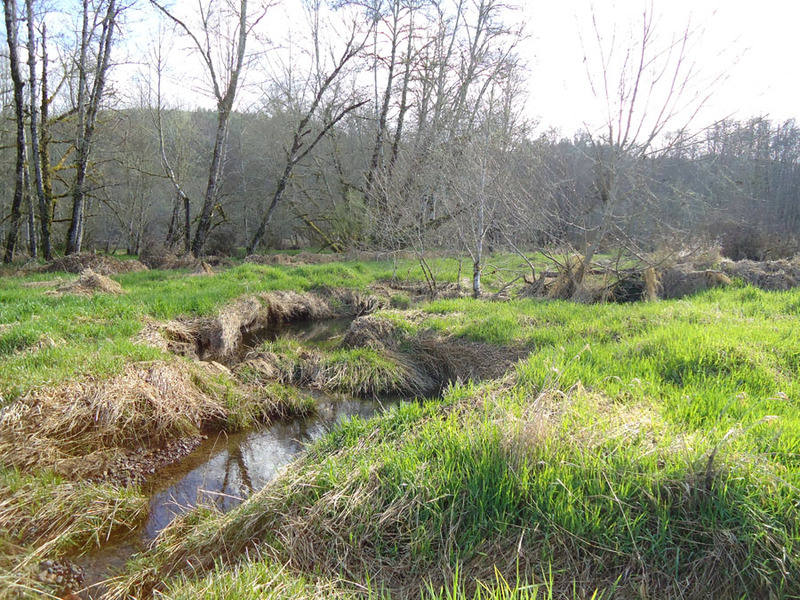 The selected alternative focused on moderate grading in key locations of the floodplain to enhance side channel connectivity to the mainstem, installation of localized log jams to enhance scour in the target side channels, and placement of large wood on the floodplain. These efforts will be combined with a comprehensive revegetation effort and targeted control of reed canary grass.